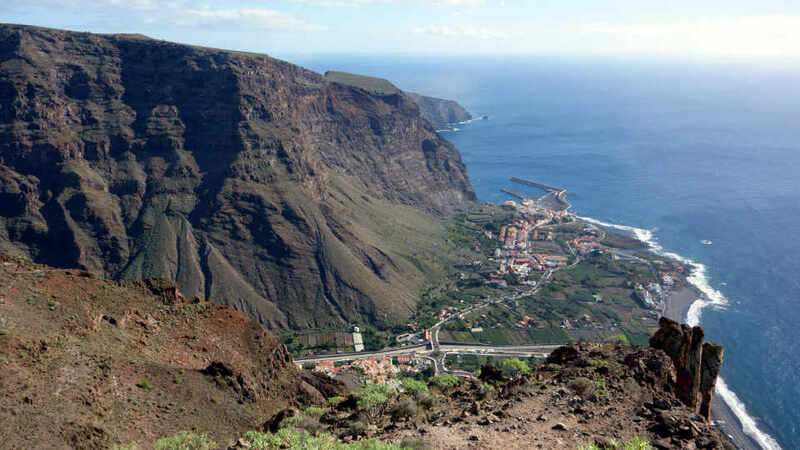 The municipality of Valle Gran Rey in La Gomera is blessed with many natural spectacles. 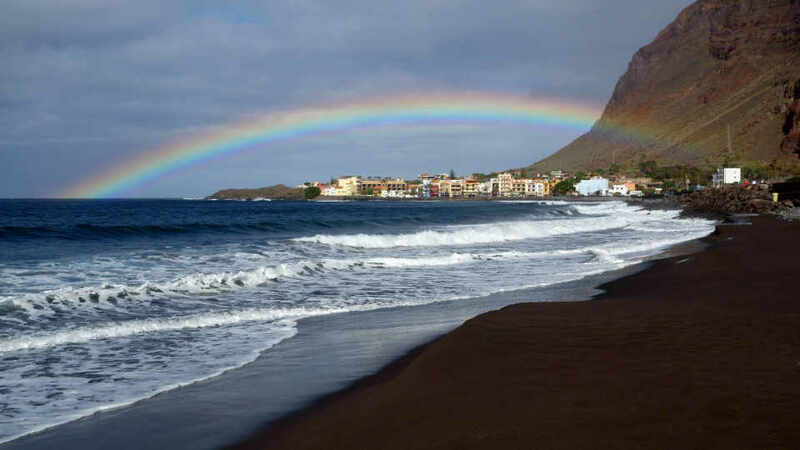 Included in the list is Playa de la Calera, an idyllic black sand beach at the foot of the mountain of the same name. Families and those who prefer quiet holidays call this waterfront the perfect getaway. With its tranquil waters, a lovely hamlet, and incredible vistas, that’s no surprise. At one kilometer, Playa de la Calera is the longest beach of La Gomera. Although it has ample space to cater to a deluge of vacationers, mass tourism just isn’t its brand. Instead, its lengthy but pebbly shore is for relaxing and frolicking. Fun for all ages, even to those with limited mobility, is its promise. In this waterfront, no shindigs or neon lights are needed to enjoy. The weather and climate in the Canaries are said to be the best in the world. Not cold, but never too hot. It’s an all-year-round summer in most areas. Imagine lazing under the sun and around breathtaking panoramas. There’s no need to worry about the kids being near the water because the waves here are almost forever calm. Vacationers get to dine while admiring the endless Atlantic. And, how about walking around under the careful watch of the soaring mountain? Sounds like an excellent vacation. The lack of modern convenience is a deal breaker for a lot of tourists. Sure, they want to unwind in tranquility, but it doesn’t mean they want to go back to stone age. The good news is the oceanfront hamlet is a paradise with up-to-date facilities. It is easily accessible by car, has plenty of parking spaces, and a wide variety of services to offer. It may be a tiny semi-urban village, but it’s packed with amazing sights and current comforts. Why sacrifice in the name of relaxation? In Playa de la Calera, no one has to. Dining in Playa de la Calera is like going on an international tour. Vacationers can enjoy traditional Canarian dishes or have a bowl of Asian delights on a whim. They can also have a taste of European goodness during the day. Then, enjoy a colorful and herby Mediterranean at night. In this waterfront haven, their taste buds can travel to different regions any time. Shiva Indian Tandoori has a big menu. Some of the dishes can be a bit pricey, but they are well worth it. Expect lovely plates that are neatly presented. And the taste? The taste is heavenly and authentic. For the best-sellers, do try their garlic naan, navratan, king prawn passanda, chicken jalfrezi, chicken curry, and poppadum. They have a variety of meat-free dishes, so vegetarians are welcome here too. For a burst of Malaysian flavors, do not miss Restaurante El Baifo. It is the best Asian restaurant in the municipality, and it’s always a full house, so be sure call to book a spot. The place may not look like much, but the fact that customers are willing to share tables just to dine here says a lot. Their must-trys are spring rolls, sticky chicken thighs, skewered beef, and all the curries. For dessert, fall in love with their tiramisu and coffee panna cotta. Italian restaurants are everywhere and the competition to be the best is tough. In Valle Gran Rey, though, Restaurante La Islita reigns supreme amongst its kind. Aside from their pizzas, do try their provolone, bruschetta, gnocchi, lasagne, macaroni with courgette and bacon, and fish pasta with a mild curry sauce. Pair any of the dishes with either Sloane’s Gin or hibiscus tonic for a guaranteed fantastic meal. Colorado is at the very top spot, or somewhere close to it, in the food game. They claim to serve mostly European dishes sprinkled with Mediterranean flavors. In reality, though, they present culinary works of art set beautifully on plates. Their whole menu is mind-blowing, but their tuna and lamb steaks, spicy meatballs, tapas, pita bread with tzatziki sauce, and garlic prawns are the crowd favorites. Try anything and, if possible, everything. From San Sebastián de La Gomera, tourists must take bus line 1 to Valle Gran Rey. From the last stop, Playa de la Calera is only a minute walk away. The bus departs the capital at 10.30, 12:00, 15.30, 18.30, and 20.30 on weekdays. On Saturdays, it leaves at 10.30, 12:00, 15.30, 18.30, and 21.30. While on Sundays and holidays, the two trips are only at 10.30 and 21.45. Vacationers going straight to Playa de la Calera from Aeropuerto de La Gomera must take bus line 6. It departs daily at 08:30 and 15:50. Just as the other bus, its last stop is also a minute walk away from the waterfront hamlet. There’s a lot of tranquil towns and beaches in the Canaries, most especially in La Gomera. Many of them, though, are either secluded or not very convenient. 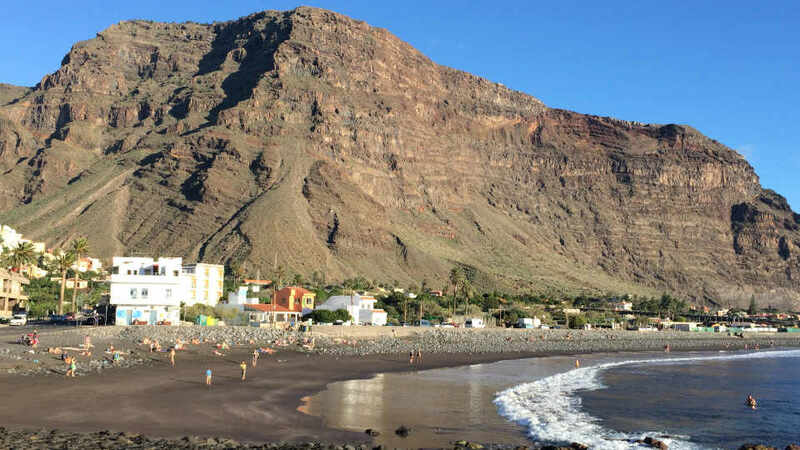 In Playa de la Calera, tourists need not let go of usual comforts to enjoy peace. They can have a well-deserved comfortable vacation through and through. There’s also no need for those traveling with kids to avoid certain places. From its calm waves to its pleasant streets, the entire hamlet is family-friendly. Relaxing holiday can’t get as relaxing as this.